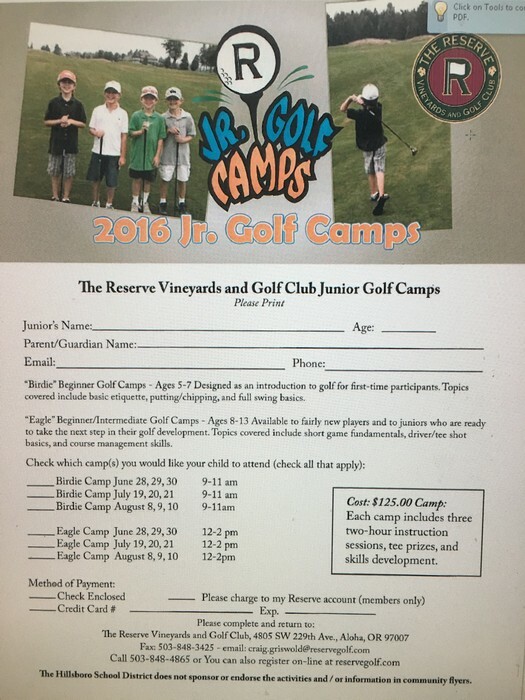 I am sending this SMORE Newsletter through the Mass e-mail so that some more folks will have the opportunity to see these events items. Thursday Night, May 26th from 6-7:30 PM is our annual Spring Celebration of Learning! This is an evening to celebrate the amazing things that have been happening and the learning that our students have been making! It is an open house format, but some classes may have special events linked to a certain time. Tuesday, June 7th the Booster Club will be hosting a reception celebrating the teaching and commitment to the Lenox Community. We will be celebrating Mr. Rosenthal and Mr. Young at this special event. We hope to see many alums, alumni parents, former peers and partners to give them a royal sendoff that they so richly deserve! 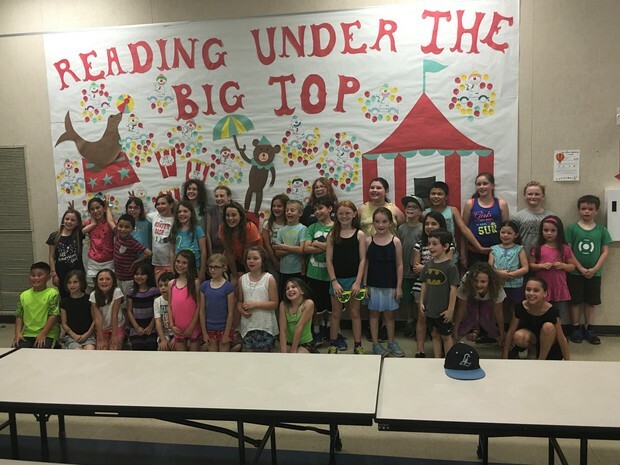 Thursday, June 9th, the staff will be celebrating the volunteers who have made this year so memorable after school in the cafeteria as well. Thursday, June 16th is the last day of school. It is an early dismissal day and all students will be released at 11:05. PBIS Assembly, and CLAPOUT! Wondering what to do on May 21st. Come by Downtown Hillsboro and join in the celebration that is the PROUD TO BE HSD Festival. The second annual Proud to be HSD Festival is taking place in conjunction with the Farmers Market on Saturday, May 21, from 8 a.m. to 1:30 p.m. in downtown Hillsboro. Please join us to celebrate and support the many accomplishments and talents of our students, and learn more about the wide variety of opportunities available to them. Again this year we will be featuring an art walk and scavenger hunt, performance stage, STEAM pavilion, Career and College Pathways area, student entrepreneurs, PE/activities area, and the popular mascot challenge. 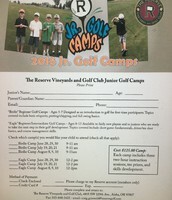 For more information or to volunteer, please visit http://www.hsd.k12.or.us/. 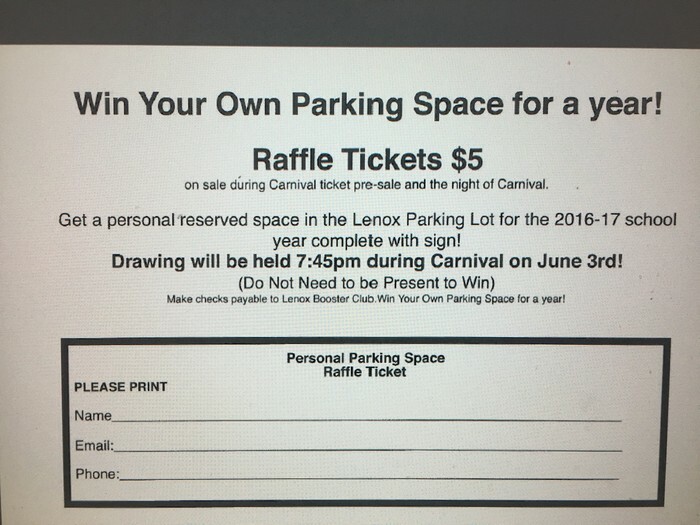 Lenox Carnival Is Almost Here! One of the Best Nights of the Year! Friday, June 3rd 5:30 - 8:00 PM. The community comes out in droves. From future Pioneers to Alums and Alumni Parents It's a great night for all. 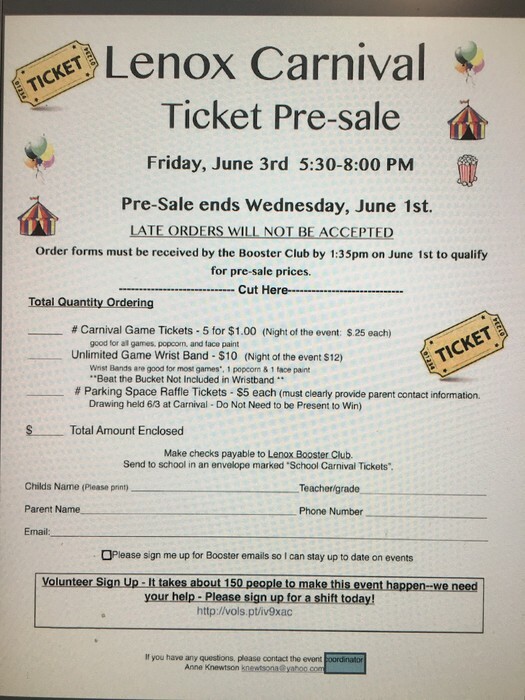 You can get Pre-sale tickets. 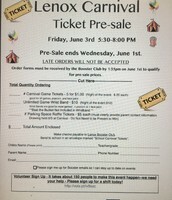 Enter the raffle for a reserved parking spot for next school year. You could win it and give it to your favorite staff member! We need hundreds of volunteers to make this event a full fledged success! Here's the Booster Club's Volunteer Spot site. These fliers are in the lobby. there area few of them, but if you are interested, you can follow this picture. 1. Lenox is a welcoming place for all students and their families. 2. Lenox promotes family involvement. 3. Lenox communicates well about individual, classroom and school information. 4. What are some of the barriers that keep you from attending school events? 5. What expectations do you have when you attend a student conference or school event? 6. The teachers do their best to meet the individual needs of my child. 7. What do you struggle with most in supporting your child/children with school? 8. What resources does your family need in regards to school (if any)? 9. How do you want your culture to be represented at Lenox? 10. Do you have any suggestions of ways Lenox can make your experience better? to achieve their highest potential! Raffle Ticket for a year long reserved parking spot! 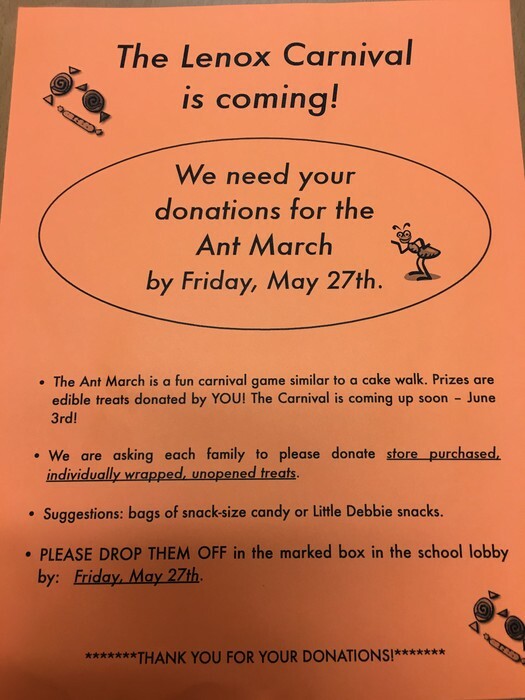 We need Ant March Donations! Hope you had a chance to make it to McTeacher Night on May 10th. Did you give an order to Ms. Incrovato, maybe Mrs. Z or Mrs. Buen helped you at the drive through. 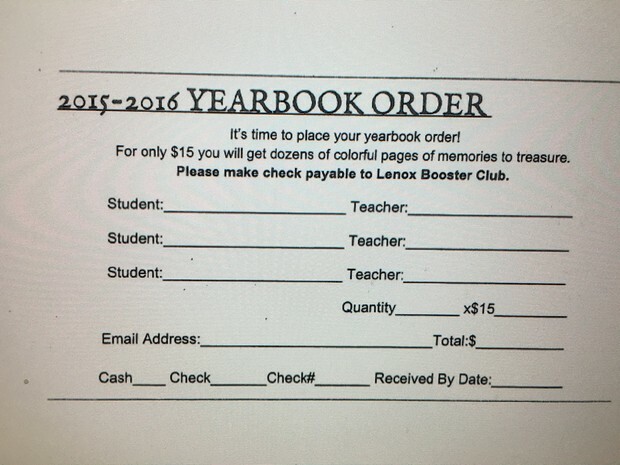 You might have had your order delivered to you by Mrs.Scoble. 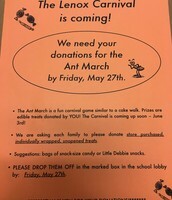 did you get cookies from Mrs. Young, Mrs. Casey or Mrs. Laws? 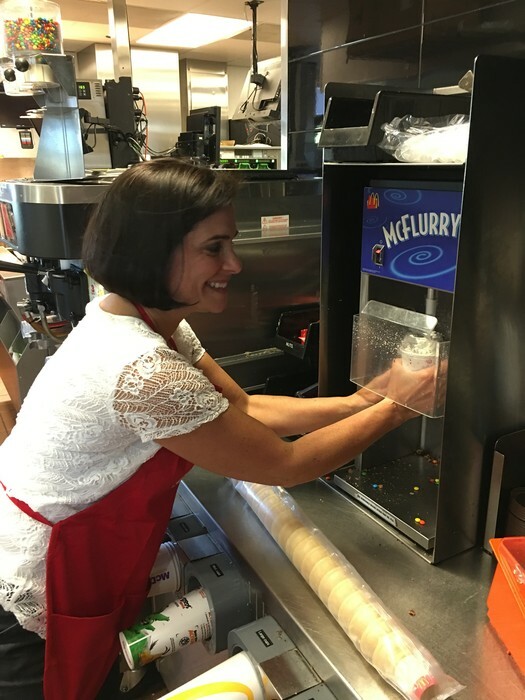 You may have even had a smoothie made by Mrs. Jaspar or a McFlurry by the McFlurry Queen Mrs. Timmons. Any way you look at it, it was a lot of fun. Thank you to the West Union McDonalds.